Public TV’s “Julia Child of the Horticulture” 1966-69. October. Days shorten. Get colder. Leaves fall. We spend more time indoors, less time with nature. Here’s a short list of plants that take neglect and still perform. Indeed they ask nothing more than regular watering and filtered sun or low light. 1. Oxalis is one of the easiest, most forgiving, fun-to-watch plants. Green (regnellii) or purple (triangularis) leaves. Leaves open at daylight (watch 33 second video link that shows leaves opening at 23 seconds) and close each night as darkness sets in. Wants light in order to produce flowers, but not full sun. Likes damp (not soggy) soil. When too dry, plant tells you; it looks like it’s collapsing. But it comes right back after watering. 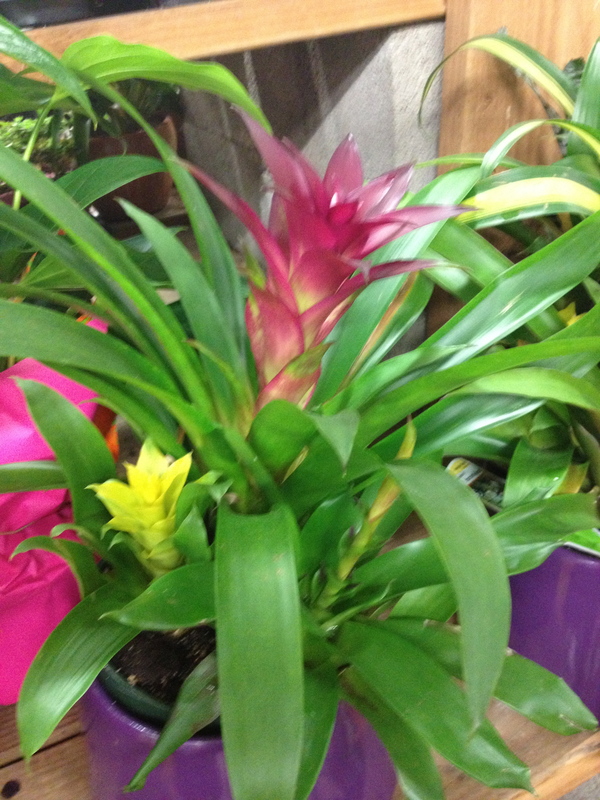 Blooms for long periods indoors, with a rest period after blooming. 2. 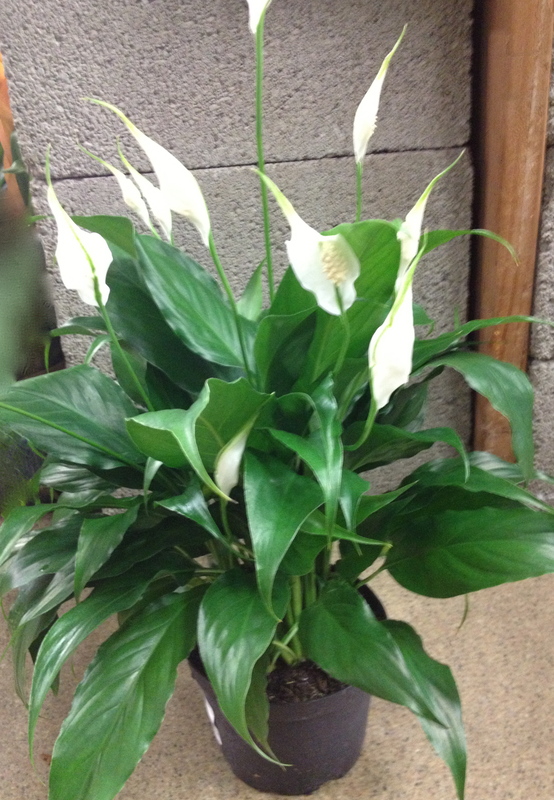 Spathiphyllum is also easy and forgiving. Many varieties, different size plants. Buy the small size. They grow just as well and are more manageable. If plants are getting dry, the leaves begin to sag–that’s the signal to water. If they get too dry the tips turn brown; but the plant survives, and the tips can be trimmed if desired. I’ve found these plants impossible to kill. Low light is fine. they don’t like bright light. Blooms year round. Video short with instructions, basically tells you how easy this plant is to care for. I didn’t know it’s also an air purifier but, according to the video, it is. 3. Bromelliad blooms are vibrant, last months, and clearly add color to any room. They do need good light, usually bright indirect light, but require little care, definitely don’t want to be overwatered. 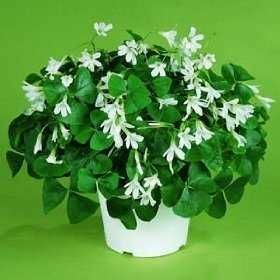 This entry was posted in Aging parents, Gifts, Gifts for seniors in care facilities, Old people and tagged bromelliad, Dementia caregiver stress/depression relief UCLA webinar, easy-care flowering plant gifts for old people, easy-care plants, gifts for elderly, gifts for nursing home/care center seniors, gifts for shut-ins, shamrock plant (oxalis), spathiphyllum, thoughtful gifts. Bookmark the permalink.